BOJ Intervention – What was it like and how to take advantage of it in the Forex market? Now catch your breath and turn your focus to the Forex market just for a second: Contrary to popular belief, BOJ intervention is not as sudden as some people may think. As a matter of fact, BOJ has been very verbal about intervening for the past two weeks, but most speculators were just so convinced that buying Yen is the answer, they ended up getting caught with hands in the cookie jar. But if you were part of my Forex News Trading Academy, you’ve probably heard me talking about BOJ intervention in the past few weeks for over 100 times by now, and not only we didn’t lose any money, we actually booked a very nice gain (500+ pips) from this event and brought our account up… This is exactly the type of event that we will never get caught on the wrong side because of our focus on Fundamental analysis. 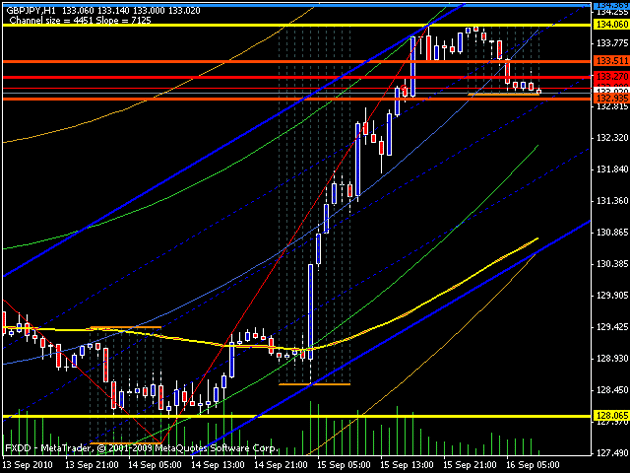 Below shows our entry at 128.06 and market soared up to 134.00 giving up 600 pips of profit. We are still in this trade, by the way. Thank you and I’ll post more updates in the future. I am in this program since day. when we get started we encounter some draw down, because of that some members not follow the instruction is given by henry and some is follow. for those we believed in henry so they are making progress and I believed we will reach ours final goal. Thanks for urs coaching and also open the Trial trade room for us to gain the confident on urs trade action. I will stick to u to ride the wave till 1 million at the end of the phase 12. When is your next intake? Is it Oct 16? You mean you made money from this intervention! Amazing, how to join your program? Your front page says it’s closed, is there any back door to join you? Next opening should be in 30 days. I will send out invite just make sure you’ve signed up to my newsletter. That’s great news Henry!!!!!!! I hope I will be in for the second round!!!! Good luck! !